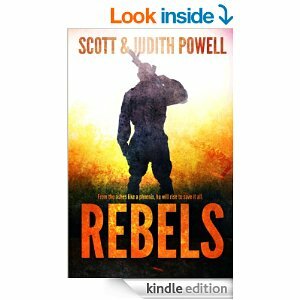 On Halloween Eve (Oct 30th) at 11pm Eastern I will be interviewing Scott and Judith Powell http://scottandjudithpowell.wordpress.com/ about their book Kindle book “Rebel” along with the others in the Series if time permits. Scott Powell was born in Burlington, Vermont, to a father who was a police officer and a mother who emigrated from South Korea. He received a degree in marketing from the University of Las Vegas, Nevada, and a master’s degree from the University of Alabama at Birmingham. 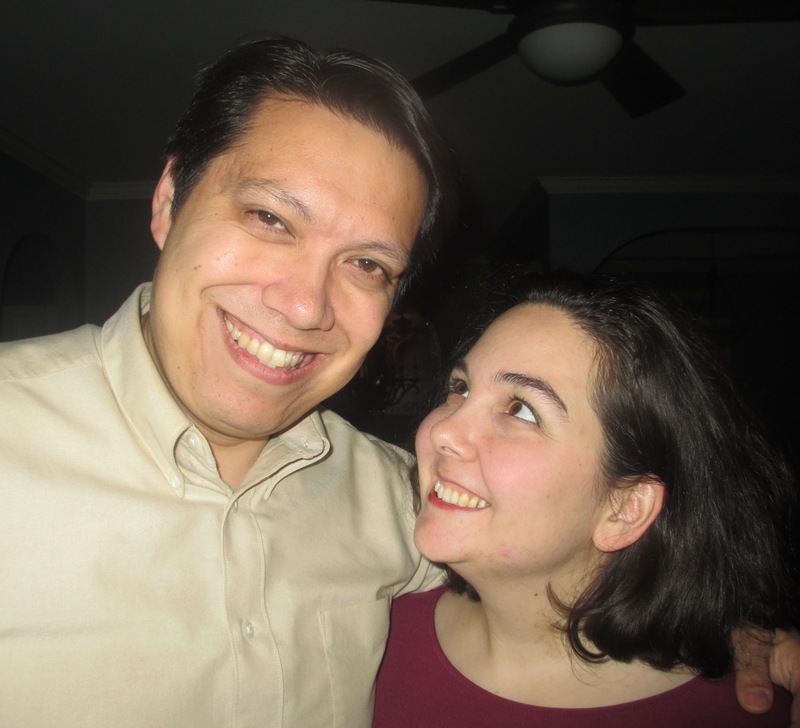 Scott served a two-year Spanish-speaking mission for his church. He is a mixed martial artist who continues to train with his father, a second-degree black belt in Tae kwon do and a kick boxer. Besides being married to Scott for over seventeen years, Judith Powell is a stay-at-home mom whose whole life has been full of stories. Being raised by an Irish storytelling father and a Native American mother, stories have filled her life and her head until they finally had no choice but to flow out through her fingertips. This is the first of three books concerning The John Bates series. They have been recently featured on Under Ground Professor Radio along with the Exceptional Conservative Show as well as the Steven Mitton program. Rebels the 1st book in the series is free for the kindle and other Ereads. Their books include Rebels , Rebellion, and Revolution: the final book in the John Bates saga. John Hancock Bates is 15 years old. His world is nothing like the world as we know it like today. From the outside, John and his family appear to be complying with with all that the State tells them to do, and it tells them what and when to do everything. Unbeknownst to the State however, John and his family still read a Bible they keep hidden in a secret compartment in their home, they pray from their hearts instead of the prescribed written prayers written by the State and John’s father has taught him the history of the United States before the world fell apart after the Great Fires. If the State knew these things about John and his family, they would be condemned to death. John is part of the Young Army, and as such receives extra privileges such as extra food and clothing, copies of the missing pages in the textbooks. Life in this State is difficult and non-compliance results in swift punishment, often resulting in death. The state of the world that John lives in and the poverty that surrounds him reminds me of the economic and social situation of Communist countries today. I liked John and his family, because they stood up for what they believed. While the characters of his parents were not very developed, it was easy to see the influence they had on John character. I think that the belief that John’s father has about knowing where you came from will help you shape your future is an accurate one. I liked John’s belief system because he chose to care about others, and not just himself and his family. There is a little bit of a sense that this could be where the world is heading as it all started with a world-wide economic disaster with governments going bankrupt. Right now it seems that our world governments are beginning to head down that road. This book is not the future we want to be living in. I enjoyed this book quite a bit and look forward to reading further about what happens to John. I am curious as to why the State has given him the augmented heart. I also suspect that there was really nothing wrong with the heart that he had. Perhaps we will find out in Book 2. I did note that there were quite a number of proofreading and grammatical errors in the text, but I am also aware that one of the authors is plagued with dyslexia, and so I commend the author for pursuing a career where this disability has such an immense impact. I gave this book a rating of four stars. I would highly recommend this book. I received a free copy of this book in exchange for a fair and honest review. I was not required to provide a positive opinion. All thoughts are my own. I encourage everyone to support both Smartpolitricks Network and the Powells’ by listening to the show live or later on archive. There will be open phones towards the end and I’ll field questions from the live audience. Guest Call in #(347) 945-5867 to listen while mobile. Press 1 to speak with Host or Guest. This entry was posted in Knucklebones Radio News, Radio Interviews and tagged Amazon, Books, Fiction, Judith Powell, Kindle, KnucklebonesRadioNet, Rebel, Scott Powell, Smartpoltiricks. Bookmark the permalink.